A soil sample can be analysed to determine its composition, nutrient levels and characteristics such as the pH balance. Soil testing is usually carried out as part of a programme, consisting of four phases: 1) soil sampling; 2) sample analysis; 3) data interpretation and 4) soil management recommendations. Soil tests can help to determine soil fertility levels, and identify nutrient deficiencies, potential toxicities and trace minerals. They are also important for monitoring the stages of land degradation, acting as a first step in defence by regularly gathering information on which to base land management and fertiliser decisions over time. In developed countries, soil tests are more commonly carried out in laboratories. Soil samples from Africa are often sent to laboratories, even as far away as Europe. For smallholder farmers in remote rural areas, field-testing kits may be more appropriate, but they are not yet widely available and also require training to correctly interpret results. Improvements in extension services and local soil testing facilities would enable farmers to better understand their soil types and nutrient deficiencies in order to minimise the amount and types of fertilisers they need to buy and use. 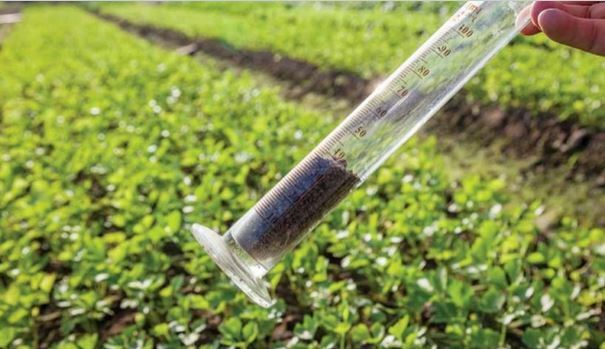 Soil testing contributes to Sustainable Intensification as it helps to produce more with less; minimising nutrient deficiencies, reducing costs and limiting environmental damage through the targeted and precise use of inputs. For example, under the guidance of Ethiopia’s Agricultural Transformation Agency (ATA), farmers growing hybrid maize in Ethiopia were able to achieve 6-8 tonnes per hectare – reaching the European average – when they applied an appropriate balance of NPK (Nitrogen, Phosphorus and Potassium). This was coupled with Boron that, after soil testing, was determined to be deficient in the region. Soil testing acts as a natural precursor to microdosing; the identification of low productivity areas allows for the precise application of inputs directly to the target area. This reduces the costs of inputs for the farmer and contributes towards improved food security and nutrition with greater yields, whilst promoting better environmental practices. The Food and Agriculture Organisation (FAO) identified the main limitations to soil testing as inadequate funding for equipment and a lack of trained staff. Many African countries have serious problems in providing effective advisory services on soil resource management to farmers, even after they have established soil and water testing laboratories (SWL). If the test data is inaccurate, interpretation is useless, misleading and costly to farmers who adopt recommendations based on invalid data. Extension services for soil testing in Africa are limited, and most farmers are not trained to interpret the results, an underlying cause of limited adoption of soil testing in Africa. There is a strong need for adequate and effective training by lab staff of extension workers and farmers for simple diagnosis. Working to reverse the situation is the Alliance for a Green Revolution in Africa’s (AGRA) Soil Health Program. AGRA have trained 4,800 extension workers and 134,000 lead farmers, whilst also supporting more than 170 students—half of whom are women—to study soil science and agronomy at African universities. The inability to obtain soil characteristics rapidly and inexpensively remains one of the biggest limitations to soil testing in poor countries. In many countries, delays of up to 6 months in forwarding the lab reports and recommendations to farmers are common. Organising more frequent and local training courses to build local capacity can reduce these delays. Arranging sample exchanges amongst laboratories or establishing a central reference laboratory in country can improve data accuracy. A potential alternative to laboratory soil testing is the use of field-testing kits. Farmers benefit because they are simple, quick and convenient to use. 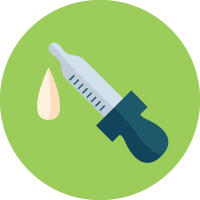 A test for nitrogen (N), phosphorus (P), and potassium (K) can be completed in less than five minutes and the kit is easily carried to remote rural field locations. As it stands, these soil testing kits are relatively new and not readily available on the market. When they are more widely available, they are expected to be cheaper, quicker alternatives to lab tests. Adepetu, JA, Nabhan, H & Osinubi, A 2000, Simple Soil, Water and Plant Testing Techniques for Soil Resource Management: Proceedings of a training course held in Ibadan, Nigeria, 16-27 September 1996, Food and Agriculture Organization of the United Nations, Rome. Alliance for a Green Revolution in Africa (AGRA) 2014, AGRA Soil Heath Report: Seeking Fertile Ground for a Green Revolution in Africa [24 June 2015]. Daktari Wa Udongo (Swahili for “Soil Doctor”) is a partnership between the United States Agency for International Development (USAID), Fintrac’s Kenya Horticulture Competitiveness Project (KHCP), and Crop Nutrition Lab Services (Cropnuts). The project brings professional soil testing services to smallholder farmers in rural Kenya via agrodealer networks. Smallholders are trained in soil sampling by Daktari Wa Udongo extension workers, then deliver their samples to a local agrodealer. The agrodealer sends samples to the Cropnuts soil testing laboratory in Nairobi where they are analysed. Full results are emailed to the agrodealer, while an SMS is sent to the farmer with specific soil and fertiliser recommendations. The farmer can access inputs and technical support from the agrodealer. Cropnuts have developed a web-based system, Inputs4Ag, to link farmers, agrodealers and input suppliers to ensure the necessary inputs are available to the farmers. Cropnuts uses spectrometer analysis that delivers results quickly and is low cost at Ksh 2,500 ($30) per sample. This can still be a considerable cost for smallholders, so extension workers provide on-site training and use demonstration plots to show the potential benefits. The demonstration plots also exhibit better agricultural techniques, such as proper plant spacing and use of organic mulch, to farmers who have not yet bought in to the service. This helps to raise incomes so that farmers can afford to buy into the scheme. 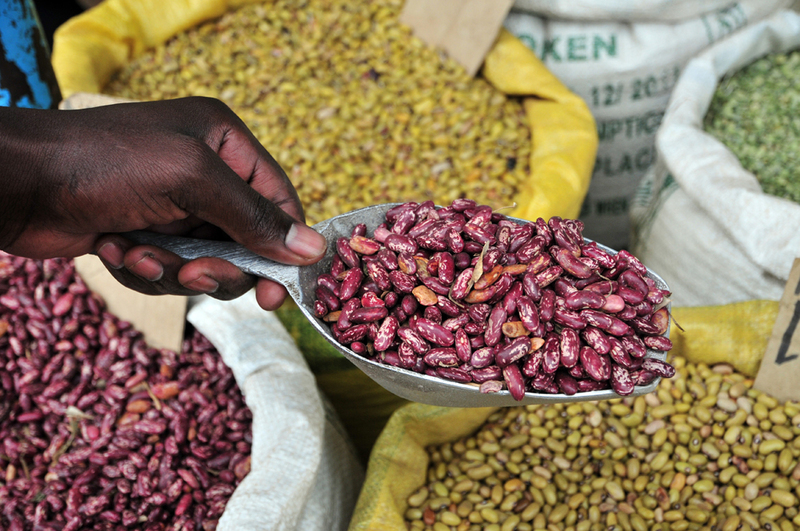 Agrodealers make Ksh 500 ($6) per sample, which provides a significant incentive to promote the technology and proper techniques to farmers. Furthermore, discounted services are offered to first-time customers at Ksh 1,500 ($18). Mary Afande Lwaka is a farmer who was one of the first 670 smallholders to receive soil recommendations by SMS. She had been adding fertilizer to her soil without realising it was making the soil acidity worse and damaging her yield. Soil analysis showed that she actually needed lime, which improved her soil health and crop yields dramatically. Another Cropnuts customer, Samuel Tanui, reports that “by implementing all the recommendations, we have almost doubled our production.” By April 2015 the soils of almost 8,000 farmers had been analysed, and Cropnuts analyse up to 5,000 samples per year. Francis Munyengango worked his family’s 1 acre (0.4ha) plot of land in the hills of Rwanda. His annual yield of two bags of beans was not enough to feed his family, or provide income for his children’s school fees. The Rwanda Institute of Agronomic Sciences (ISAR) invited Francis to join a project supported by AGRA’s Soil Health Programme. Since 2009, The Alliance for a Green Revolution in Africa (AGRA) has trained an estimated 1.8 million farmers in 13 African countries in ‘integrated soil fertility management’ (ISFM). IFSM encourages a wide range of soil management and farming techniques such as modest applications of mineral fertilisers combined with organic matter, such as crop residue or animal manure, and intercropping with nutrient rich legumes like cowpea, pigeon pea, beans or soybeans. Other practices aim to reduce soil erosion, improve water efficiency and reduce tillage. Together, AGRA and ISAR discovered that Francis was trying to grow beans in highly acidic soil that needed lime to neutralise the acid. By applying lime, mineral and organic fertiliser, alongside other ISFM practices, Francis’ yields grew from 2 to 5 bags, enough to feed his family and sell his surplus at the local market to earn additional income. SoilDoc, created by the Agriculture and Food Security Center, part of Columbia University’s Earth Institute, is a portable, on-site soil testing kit that provides tailored fertiliser recommendations for farmers. 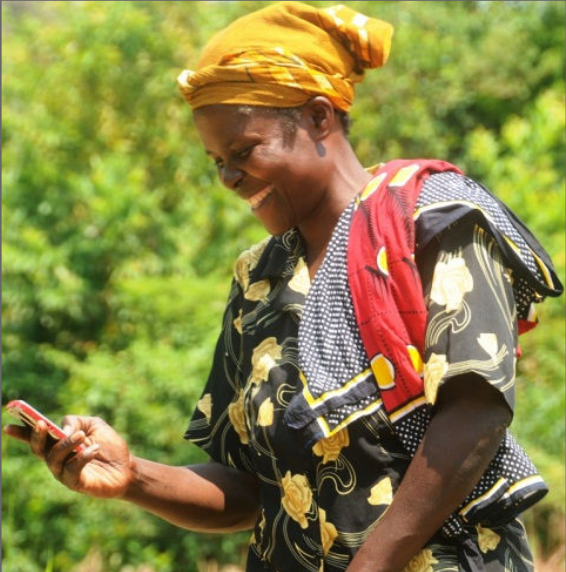 The kit uses an Android® device to transmit soil information electronically, allowing extension workers to make on-the-spot diagnoses of soil constraints and targeted advice to farmers. The SoilDoc field kit can test soil pH, biologically active soil organic matter, electrical conductivity (a general measure of fertility as well as salinity) and micronutrients such as nitrate, sulphate, phosphate and potassium. The kit also incudes tools to measure physical properties of the soil and is capable of testing nutrients in the sap of growing crops. SoilDoc is not yet commercially available but is expected to cost US$3 per test and takes 1-2 days for the results to come back. 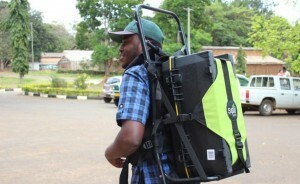 Currently under trail in Zambia, with support from DuPont, Columbia University and the University of Maryland, 100 soil samples have been collected and tested in Eastern Province with plans to collect 10,000 samples from across the country to validate soil mapping information and create a database for companies to formulate fertiliser packages. Provided high adoption rates, farmers will be able to access and apply the right types of fertilisers exactly where they are needed. By increasing fertiliser efficiency through tailored recommendations, the creators of SoilDoc hope to minimise nutrient losses, increase yields, reduce input costs for farmers, and improve food security. Columbia University 2014, Evaluating the effect of site-specific soil information on farmers input choices and the relationship between poverty and soil quality: A Proposal to the BASIS CRSP [24 June 2015]. Colombia University (no date), The Water Food Energy Nexus,The Earth Institute, Columbia University [24 June 2015]. 2015, ‘Soil testing promises sustainability,’ Zambia Daily Mail Online 8 April 2015 [20 June 2015].